First known as Armenderez, then Belen, they settled for Buford and it has remained Buford ever since. 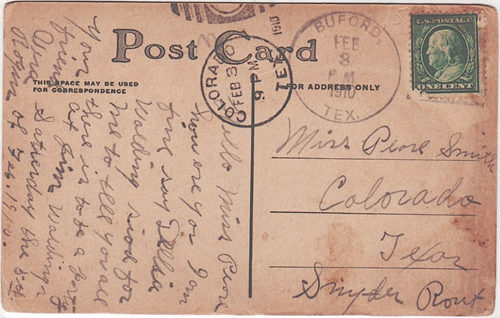 The short-lived post office moved to Colorado City. Early population figures are unavailable but after WWII, the number was placed at 90 people served by three businesses. From 1980 through the 2000 census, 25 residents were reported.